Rittz is set to leave the pack behind with his latest Strange Music release, Top Of The Line, set to hit stores on May 6th! 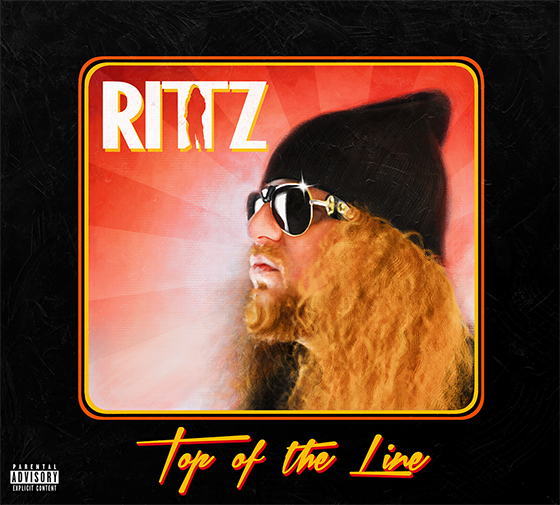 On the heels of Next To Nothing, Rittz’s Top Of The Line finds the Gwinnett County resident giving us the inside track to his life – sometimes serious, sometimes humorous, sometimes introspective – always in a style that is uniquely Rittz. With tracks like “Inside Of The Groove”, “Ghost Story” and “Propane”, alongside features from Tech N9ne, Mike Posner, E-40, Devin The Dude, Krizz Kaliko and MJG, Top Of The Line is the next chapter in the expanding legacy of Rittz. Choose which version you’d like – the Standard version or the Deluxe version (which will be autographed by Rittz and contain a bonus disc with 5 additional tracks not found on the Standard version). 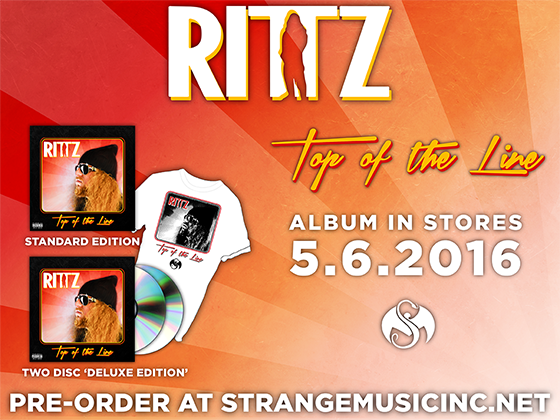 With every pre-order, you’ll receive your copy of Top Of The Line (Standard or autographed Deluxe), a limited edition presale Rittz t-shirt (XL only), a Strange Music sticker and a bonus exclusive mp3 download track. Click here or head on over to strangemusicinc.net and preorder your copy of the newest Strange Music release from Rittz, Top Of The Line!